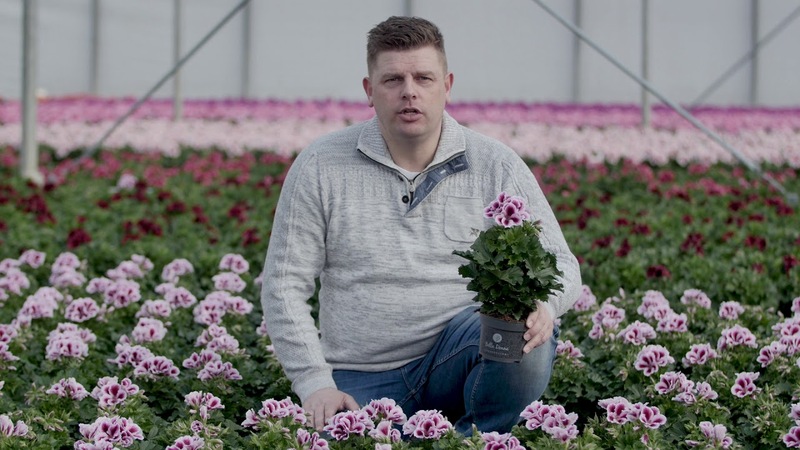 In this mini-series, Dutch growers tell you about their plant nurseries and their passion of growing Regal Pelargoniums. 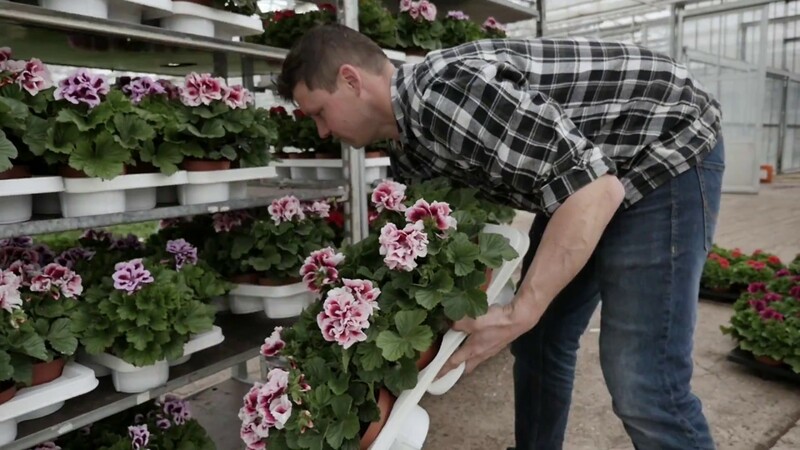 Plant grower Apartus is a family business from Poeldijk and has specialised in the cultivation of Pelargonium Grandiflorum. In this video, Don Bruinen tells us more about the Regal Pelargonium (Pelargonium Grandiflorum), how they develop new varieties and how they use geothermal energy to heat their greenhouses. Apartus takes part in the Dutch geothermal energy project "Aardwarmte Vogelaer". For this project, a geothermal well was drilled. The project cuts down CO2 emissions by 20.000 tons each year and also saves the Dutch gas resources. Bas van der Wilt has not only been an independent entrepreneur for 20 years but can also call himself a two-time Dutch champion at billiards. Amongst others, the nursery run by Bas van der Wilt has specialized in growing Regal Pelargoniums. This spring flower is also known by its Latin name Pelargonium Grandiflorum and is popular both as an indoor and outdoor plant. Just have a look at the extravagant flowers and you will immediately realize why its Latin name includes the word “grandiflorum”. Bejafleur is a family business based in the Dutch town Huissen in the region of Gelderland. Amongst others, this pot plant nursery has specialized in growing Regal Pelargoniums (Pelargonium Grandiflorum). In this video, father Bart and son Roel will tell you how they grow Regal Pelargoniums. The family business Adrichem Potplanten (Potted Plants) is based in a Dutch village called Monster (part of the Westland municipality). This plant grower specializes in cultivating Regal Pelargoniums (Pelargonium Grandiflorum), Cyclamen, Fuchsia, Capsicums (pepper plants) and Helianthus (sunflowers). 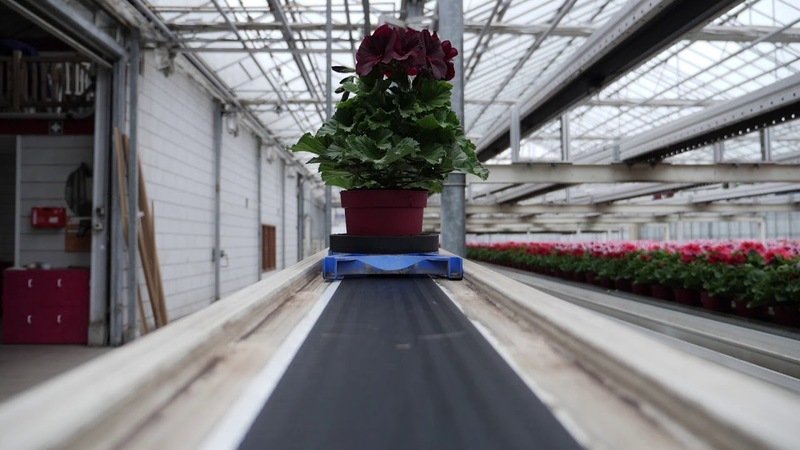 In this video, plant grower Bas van Adrichem allows us a glimpse into his modern, colourful nursery where the potted plants ‘walk’ through the greenhouse, controlled by WPS (Walking Plants System). Bosplant is a nursery for flowering pot plants located in the Dutch coastal town Westland. Each season, this nursery grows a different plant. In spring, they grow the colourful Regal Pelargonium, also known as “Pelargonium Grandiflorum”. This plant loves the sun and therefore needs a lot of water. 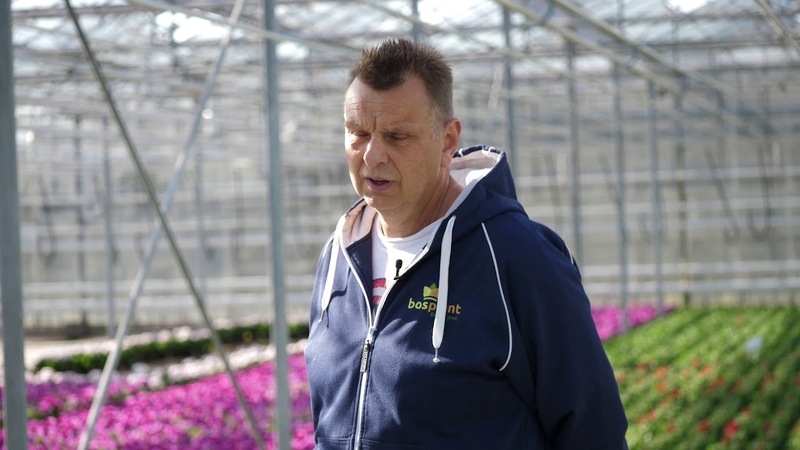 Bosplant’s grower Johan van Antwerpen explains how the nursery waters their plants.